It doesn’t matter what the occasion is – wedding, family reunion, corporate gala, workshop, 90th birthday celebration – when you’re playing host, you want every aspect of the occasion to be memorable for the right reasons. And, having an event catered means that you can cut back on the stress and instead sit back, relax, and allow us to take care of everything for you. So when you’re gearing up for an upcoming occasion, here is just a sample of events that are always better when catered. When planning a corporate gathering or client event, there are a lot of moving parts that you need to think about to ensure the event goes smoothly. You need to find a flexible space that can accommodate all your requirements along with incredible food and beverage options to appease your clients. Also, having equipment on site and ready to go is a huge bonus, such as audio/visual equipment, a large screen projectors, microphones, decorations, and much more. 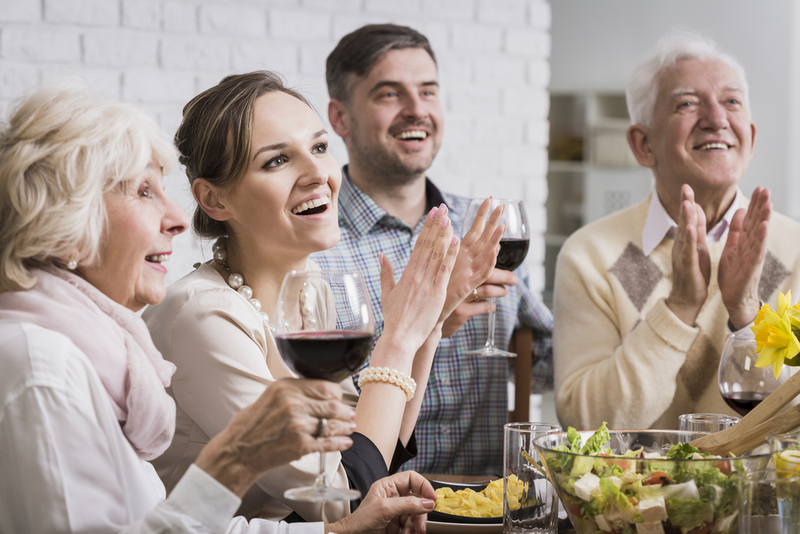 When you have a family reunion to plan, you need to ensure that everyone will be able to socialize without having people stuck in the kitchen cooking. That’s why hiring a catering company is the most convenient option when it comes to planning out your family reunion menu. At Centurion Conference and Event Center, we also offer on-site catering that will bring our delicious, quality menu right to your home so that you can enjoy spending your time on what matters. Your biggest celebration deserves nothing but the best. And when you’re planning a wedding, you need a memorable menu that will keep people talking well after your special day is over. That’s why you need a catering company to service your wedding and customize your menu to perfectly reflect your style. And, when you have an award-winning wedding manager, Executive chef, and culinary team by your side, it’s guaranteed to be an event that you’ll remember for a lifetime. There is a lot more that goes into a successful party than just the cake and balloons. The selection of food and beverage has to be on point and able to serve a variety of different palettes. Only a professional catering company can provide the breadth of menu choices that you need to make a lasting impression. When it’s time to renew your vows or to celebrate your silver or golden anniversary with friends and guests, you, of course, want to make it a remarkable occasion that everyone can enjoy. And when it comes to inviting guests, arranging a location, and choosing the decorations and theme – you already have enough to worry about. Our catering specialists can help you arrange what you need so that you can spend more time enjoying your special day and less time running around. Every special occasion and event can benefit from professional and experienced staff and an impressive menu that will cater to your specific needs. Our team at Centurion Conference and Event Centre is committed to providing the level of personal attention that you expect for creating a successful day. Contact us today to learn more about our services.